Employee training programs tailored to your professional, technical, and vocational needs. 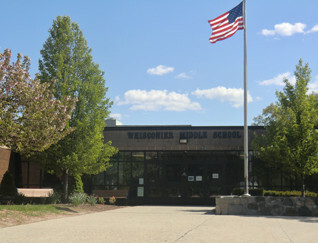 U.S. News and World Report in its May 2015 edition reported that Brookfield High School has been ranked among the best high schools in Connecticut. Anyone interested in relocating their business to a growing community in Western Connecticut and Northern Fairfield County can be assured that Brookfield High School provides excellent educational opportunities. Brookfield High School ranked above the state average in the categories of College Readiness, Mathematics Proficiency, and Reading (English) Proficiency. Specifically, 95% of Brookfield High School Students were proficient in mathematics and 96% were proficient in reading. The High School ranked near the state average in the student to teacher ratio with a rating of 13:1. Brookfield High School was ranked as #21 in comparison with all high schools in Connecticut. College Readiness is based on the percentage of 12th graders who were tested and passed AP (Advanced Placement) exams. The high school received an overall rating of 45.6 which was above the state average in this category. 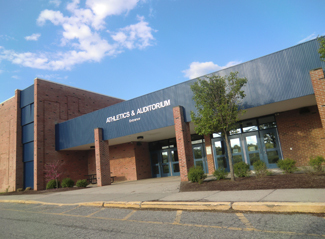 Any business looking for a positive environment for a future business location should consider the educational advantages of Brookfield High School as an attractive aspect of locating in Brookfield, Connecticut. Read more . . .
A recent article in the Brookfield Patch by Rachael Ettlinger on August 9, 2015 has high-lighted some of the superior ratings of Brookfield High School based on the Niche ranking website. Ninety-four percent of Brookfield High School students are proficient in math and ninety-five are proficient in reading. Brookfield High School has a 97% graduation rate. The average SAT score for Brookfield High School students is 1790 compared to the national average of 1720. Student opinion surveys revealed that students in Brookfield High School looked upon good teachers and the good relations that exist between students and staff as two of the strongest qualities of the High School. There were 248 reviews of the High School written for this survey and most of the reviews were positive. Brookfield High School received an overall Niche grade of A. 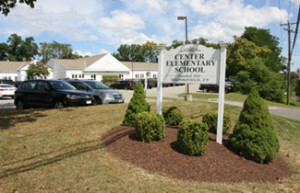 The High school is ranked 23rd in Connecticut, which is a notable achievement as the state is ranked high overall for academic achievement on a national basis. Brookfield offers an excellent High School for the employee families of any business considering relocation to the area.